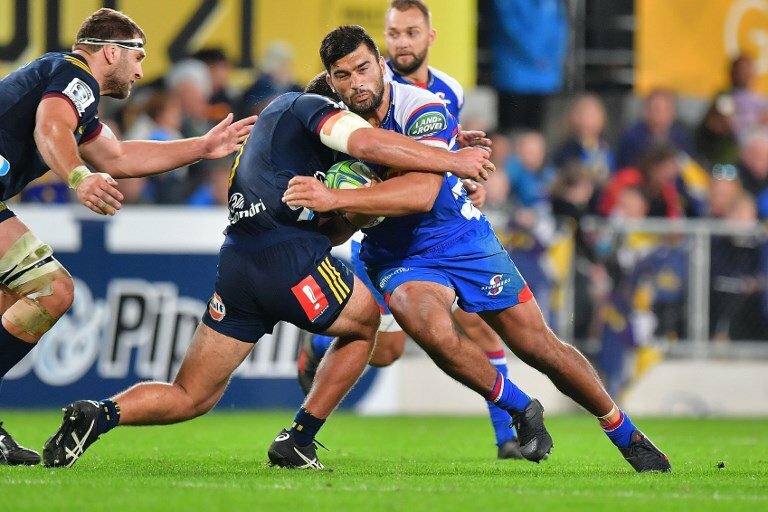 The Canterbury Crusaders came from behind in an emphatic second half to beat the Otago Highlanders on Friday as the Stormers snapped a three-game losing streak to upset the Rebels. The defending champions romped to a 43-17 win and have now gone 24 consecutive matches, dating back to 2016, without defeat at their Christchurch fortress. In Melbourne, the Stormers cruised to a 41-24 victory, ending their four-game Australasian swing on a high despite missing rested captain Siya Kolisi and fellow Springboks Eben Etzebeth (concussion) and Pieter-Steph du Toit (paternity leave). The weekend action kicked off with the competition facing the prospect of its record try-scorer Israel Folau never playing Super Rugby again. The deeply-religious Waratahs fullback, who scored his 60th try last weekend, has been informed by Rugby Australia that it intends to sack him over homophobic comments on social media. The Highlanders didn't make it easy for the Crusaders and were in front at half-time. "Playing at home is very special and a battle against the neighbours is always a tough one," said Crusaders captain Sam Whitelock. "They came out and put us under pressure. They were beating us around the corner, beating us to the breakdown and it took us a while to adjust to that." The Highlanders arrived desperate to break a four game losing run and honour talismanic skipper Ben Smith who was playing his 150th Super Rugby match. It was Smith who set the game alight when he stepped through a wall of defenders to give the Highlanders an early lead, and their advantage was extended by a Josh Ioane penalty. The Crusaders dominated possession and territory but let themselves down with handling errors and missed tackles. When they eliminated the mistakes, the points came. Richie Mo'unga exposed a defensive hole to put Braydon Ennor away for the Crusaders' first try and they trailed 10-7 at the break. Once Havili put them in front early in the second half, they followed up with a Mo'unga penalty, then used their forward power to win a penalty try, and added further tries to Sevu Reece, Mitch Drummond and Will Jordan. The Crusaders have a bye next week but have a big enough lead to stay top of the table. An out-of-sorts Rebels, missing injured winger Jack Maddocks who has scored more tries than anyone else this season, were still in the hunt 10-3 down at half-time, but a second-half Stormers blitz shattered their hopes. "The team was really fired up and they put their bodies on the line tonight," said Stormers captain Steven Kitshoff, whose team incredibly made 139 tackles to 40. "When the boys really put their minds to it and they don't mind making so many tackles it really brings out a special performance." The South Africans got a perfect start when Dillyn Leyds showed exceptional pace to dodge past Billy Meakes and Will Genia and dot down after just four minutes. But the game drifted with the Rebels' attacking flair stymied by the Stormers' rock solid defence. Quade Cooper converted a penalty to finally get the home team on the scoreboard and they drew level within 60 seconds of the second stanza when Reece Hodge intercepted a looping du Plessis pass to race away for a try, and Cooper booted the conversion. But Juarno Augustus' first Super Rugby touchdown and a du Plessis conversion quickly restored their lead and they went on the rampage with tries from Damian de Allende and Ruhan Nel in the next nine minutes. Genia and Campbell Magnay pulled tries back, before Nel got his second just before the buzzer.